Mod: This one originally went out to Preserve Sierra Madre's email list late last week. I'm reposting it here today because this is the best possible day to do so. Or at least that is my hope. Dear Supporters: During the recent election, Preserve Sierra Madre volunteers walked the streets in support of the three incumbent candidates for re-election. Many of us could not help noticing an unusual number of green fences around various properties throughout the town. 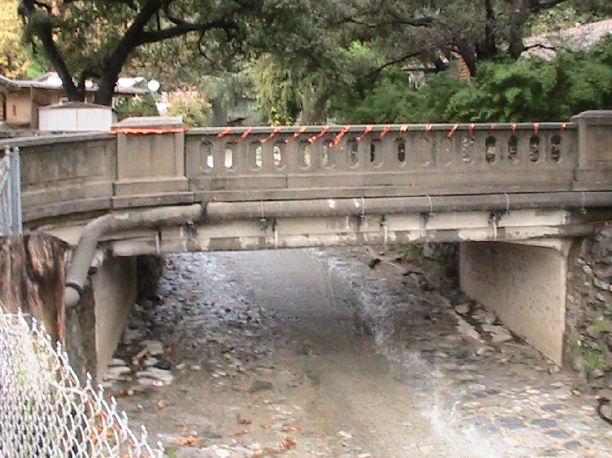 Preserve Sierra Madre has also received an increased number of emails expressing concern about demolitions and other building activity around town. Most recently, 126 E. Grandview, a 1916 home whose prior occupant was Lew Watanabe, has been demolished. There are concerns about several properties at or near 127 E. Highland that will likely be demolished. The owners of 193 Oak Meadow and 325 W. Grandview are proposing to demolish those houses as well. 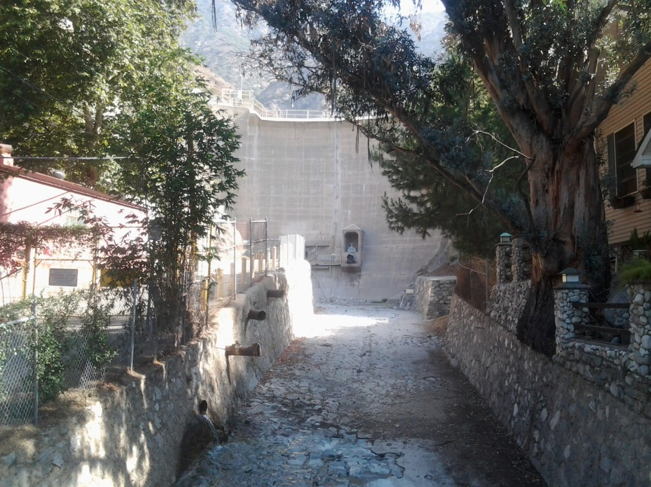 A proposed development at the Monastery does not seem to be going away as that owner has met with city officials about their proposal which would be one of the largest housing projects Sierra Madre has seen in decades. Once the water meter moratorium is lifted you can bet that fight will once again rear its ugly head. Now One Carter/Stonegate is coming back on the City Council's agenda for Tuesday, June 12th at 6:30 pm. The City Council is going to consider whether to rubber-stamp the Planning Commission's approval of a project which could then set a precedent for more incompatible homes in that area. If you recall, the first house proposed by that developer was approved by the Planning Commission, but rejected by the City Council as not being a good fit for that sensitive area - too big a house shoe-horned onto a smaller lot. Preserve Sierra Madre is very concerned as pressure builds from developers trying to maximize their profits at the expense of the community. Developers have a lot of money and motivation. Preserve Sierra Madre has no money and no headquarters. We exist only because of all of you who are receiving this information. We also recognize that despite our accomplishments over the last few years, Sierra Madre has very weak protections to withstand this onslaught. Our Cultural Heritage Commission was disbanded years ago. Sierra Madre also does not have an Historic Inventory List like other cities, including South Pasadena which takes historic preservation very seriously. Our Demolition Ordinance is also very weak. For example, the City of South Pasadena also requires a historical assessment of any property before it can be demolished, but unlike Sierra Madre, the city chooses the historical architect who will write the report. When we called the City of South Pasadena to inquire about their requirements they literally laughed out loud when they heard that in Sierra Madre it is the developer that wants to demolish a property who gets to choose the historic architect who will be writing the report. That is what establishes whether or not a house can be demolished. There could not be a better example of the fox guarding the hen house. If you remember, multiple owners of 126 E. Mira Monte were able to exploit that method of doing things and we all know how that ended up - The 1926 Henry A. Darling House no longer exists. So there you have it. We are sorry to report that with the existing rules in place, we have resigned ourselves to the fact that while we may have slowed down "progress," the transformation of Sierra Madre is inevitable. All is not lost, but Preserve Sierra Madre needs help. We need volunteers who can re-energize our coalition, expand it and re-structure it to better confront the challenges ahead. If you are interested in helping and making a difference, let us know. Suit or settlement at 1 Carter. Where is our City attorney in all of this? They have made lots of money from the city only to reach a settlement. The original plans for the house and others like that will be a blight on the hillside. There must be other ways the city can make money. I’d rather have a pot shop here. I hope the City Counciland upholds their original decision. Denise, John, John, and Gene. Just say NO!! Please do not extend the agreement for 18 months. The developer had many opportunities to submit plans for approval. In fact the Planning Department has about 20 sets of plans that the developer submitted and after about 3 to 4 years, the developer has not respond d to the correction that were required by the Planning Dept. Houses can be designed that follow the guidelines and fit into the hillside. This developer is driven by sheer greed. He will build, cash out, and leave our city with an Orange County cookie cutter development. Remember, these lots were to be purchased by individual owners and the were going to build CUSTOM homes. City Hall concessions are always explained as being "necessary to avoid lawsuits." I will be incredibly disappointed if I hear that this evening. I guess they cannot send it back to the Planning Commission since they already approved it. The PC was strongly advised to pass it by the city attorney. Several member of the PC wanted denial. The one constant through the various owners and bankruptcies and auctions and plans has been the threat of lawsuits. That's how the whole mess started. Failure of leadership on Michael Coluntuono's part. Looks literally as water under the bridge. Isn't the Sierra Madre Law Firm the same in South Pasadena and Pasadena? Of course the transformation of Sierra Madre is inevitable, this town is not the land that time forgot. Walk yourself into City Hall, the Planning Department and ask for updated info for any address in town, there are no secrets on which applications have been pulled. Preserve Sierra Madre Matt Bryant was always about the money, he does not admit that the reason for his involvement with preservation was of self interest only, they involved any plans on the Monastery site next to his home. If "you" want change, take time from your busy lives and attend Planning Commission meetings and City Council meetings, the Planning Commissioner's do listen. Property values in Sierra Madre skyrocketed because Sierra Madre didn't succumb to crap development. Why would you want to destroy that? I can understand why you would dislike Matt Bryant. His integrity probably causes you to feel some envy. But one part of your comment was interesting. Do you really believe City Hall has become a development mill? If people are pushed to be politically active because they care about their neighborhoods, that contribution is less than others who are motivated by theory? I am grateful that Mr. Bryant joined in. We are very lucky here in the people who are willing to step up. It isn't easy. I agree. I can't help but think that 7:13's comment is based on a lot of sour grapes. I think CETT has hired a PR agency, with Matt Bryant as their target. Who has the most to gain from attacking Bryant? The same old developers and realty folks. Nothing has changed. 7:13A I don't entirely agree with you. OPTIMISM- HISTORIC DAY for this nation AND Excellent news for the World. Complete Denuclearization of the Korean Peninsula. Talk about change, Congratulations President Trump. This was nothing more than a photo-op put on by totalitarian dictators to bolster the image of their #1 American asset. These are dark days for the bulwark of democracy. The Carter house is item 4 on the agenda, so it will be later in the meeting. Reminder of the bad old days when we were in those chambers until midnight. I thought this was a City Council we could depend on. I noticed that it comes after the budget discussion. Lot 24 on Carter One was not that far off the mark on correction, the 18 month extension will be passed by council. Moving forward buyers of the lots on Carter One will have their own Archuture and designs for their property. Just another name for McMansions. Arc-HUT-ure. Out of control mega HUT. 7:44am smoking that bowl early eh? That is not the reason for sky rocketing land values in California. Leaving your unintelligent insult aside, what is your explanation for the sharp increases in Sierra Madre property values? Not much of an explanation. What makes Sierra Madre more desireable than many other cities in the area? Low crime. geographically landlocked. Little retail. Little retail. Good point. Bad for claustrophobics. If anything is going to be built on One Carter, why not these? Certainly more tasteful and unique than that cookie cutter CETT nonsense. Why would anyone spend a million dollars plus change on a piece of property then dump a $55k shipping container on the lot? The value of those lots will go down considerably once the current owners realize that they won't be able to build vanity castles on them. Because container homes have a much smaller footprint these lots could be subdivided as well. I think it would be a great way for Sierra Madre to hit their low income RHNA number. What did CETT pay for that land? That is a secret, and nobody is going to tell. Hey y’all. I have a place in the canyon. Wouldn’t trade it for the world. Just looked online at the images of Lew’s 1916 house. It’s was really a shack.. maybe 800sf (still bigger than mine). The original paneled ceilings and walls looked cool. But it also had a bad remodel and years of deferred maintenance. The $700k price was in the land. Not surprised it’s gone. I'd like to take your word on this, but there is a problem. Why would an artisan as skilled as Lew Watanabe defer maintenance in the way you describe? Lou's house was literally abandoned the past few years of his life. He most likely didn't know the condition of the house and I suspect he didn't have the funds to be able to fix it up even if he knew. Lew hadn't lived there for years, and he died a few years back RIP. An elderly lady lived there. Lot of folks in town barely have enough money to live on much less maintain their homes. a lot 99%ers live here still...it's not all 1%ers. get a clue. Sierra Madre is desirable for all POD people, the invasion began here. Sierra Madre already met the low income REHNA numbers; the Kensington. For the moment. But you know how relentless SCAG is. 10:03am Lew, bless his soul, was lazy. He was an artisan in the garden. The Preserve Sierra Madre group never did understand how Sierra Madre's Planning Department fell short of their responsibility of the 126 E. Mira Monte House demolition application. The demolition application was legal, the gray area was in the clarity of instructions. It would be sad to think that after ten years of struggle the only thing that will have changed is the terminology used to justify unwanted and uncharacteristic development. If this house at One Carter is OK'd by the City Council tonight, then we're back to square one. Developers just wear out residents. Uncharacteristic development? Eventually something will be built on Carter One. Sierra Madre is a mix of home designs. Unwanted? The lots will sell. Trump legitimized a murderer who recently returned an America student brain dead and who had his own brother killed, cancelled joint military exercises designed to keep the murderer in check, and got absolutely nothing in return. Putin smiles at his sage selection of a most useful idiot. Hannity rejoices. What did the current owner pay for these lots? Not sure but I went to an auction at the Pomona Court House when Deutcha (sp?) Bank owned the lots. Official running the auction started off with the warning to the crowd "be careful about this one folks..." and said that the open bidding, for cash, was $57 million. At that time it was the housing development that followed the failed high school project and Dorn Platz under Greg Galletely had massive debt on the place. Whoever bought it from the bank did not want the two open space lots that the Homeowners Asso. was to keep as open space. Eventually the bank let the lots go to the county and the lots, 7 acres +/- and 23 +/- acres were each bought for back taxes by two separate individuals. Undevelopable open space as per the tract map. Opps. At the tax sale the warning was posted everywhere: 'know the developement rights for anything you buy before you buy it..." Double opps. The council of 2018 finished what the council of 2004 started. Those of you who care about the monastery better be ready. Wrong again tattlers, Lew never lived at 126 E. Grandview. If you're trying to stir emotions at least get you facts straight. Lew's house has been gone for over 20 years.